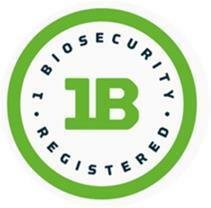 A trial of the One Biosecurity online program ran from February to June 2018. Approximately 50 sheep and cattle producers registered for the trial, providing feedback on the functionality of the One Biosecurity online tool, as well as the overall One Biosecurity program. The feedback obtained during this program has been collated and is being used to inform the future development of One Biosecurity.